The Hawaii Foster Youth Coalition (HFYC) at the Kukui Center was started in 2009 to assist youth in the foster care system to see the infinite pathways and possibilities of their lives, advise and advocate for opportunities for youth in care, and allow youth to enjoy a productive present and a successful future. Many activities and groups were facilitated from 2009-2016 including the development of local youth chapters to build collective voice and engage in advocacy efforts. HFYC has also previously coordinated and hosted the annual “Real World” event for youth to connect with resources and skills crucial to independent living. HFYC underwent significant leadership and program change in 2016. Currently, there are two major areas of focus. One is an annual trip for a small group of foster youth to Kaho’olawe to connect with a culturally grounded healing process. The other area of activity is a new work development project called HI Rising. 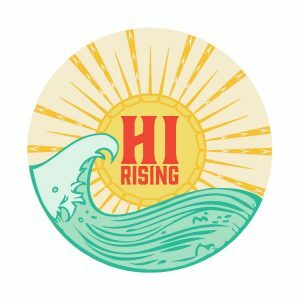 HI Rising began in April of 2017 with business planning and preparations for opening a retail shop training project. It is designed for young people ages 16-24 years who are transitioning out of foster care and are interested in gaining work experience while learning about entrepreneurship and product development. Our shop space located in Suite 102 in the Kukui Center allows youth to develop business skills they can carry with them into any future employment. It is also designed to function as an incubator for small business ideas the youth have with a chance to develop their own products and have access to a market.